Cleveland's Anderson Varejao didn't realize the blood clot in his lower right lung was life-threatening until after surgery corrected the problem, the Cavaliers' forward told Yahoo! Sports in his first interview since the health scare. "I was having my best season, the best time of my life, and a week later I'm in the hospital and I could be dead," Varejao said. "It's crazy. I'm very lucky." Varejao had trouble sleeping and suffered back and chest pain shortly after having surgery on his quadriceps near his right knee on Jan. 10. He didn't waste time telling the Cavaliers' medical staff. A CT scan revealed the blood clot in his left lung, sending him back to the operating room. Horror stories from friends brought more light to the situation. "Then you start to think about it and realize that this is more serious than I thought. A week after the surgery I was at home thinking about how I could be gone right now." Varejao, 30, was averaging career-highs of 14.1 points, 14.4 rebounds, 3.4 assists and 1.5 steals in 25 games this season and was a strong All-Star candidate. His All-Star dream was dashed when he suffered that quadriceps muscle tear on Dec. 17 against the Toronto Raptors. That injury was projected to sideline him six to eight weeks. He is currently doing light rehabilitation on quadriceps and says he is ahead of schedule in recovering from that injury. Varejao also says he's pain-free following the blood clot surgery and is slated to get off blood thinner medication on April 16. But there is still a daily concern for Varejao as any physical harm can cause bleeding that can trigger another dangerous clot. He is extremely careful about any physicality he takes part in. "When I drive to practice or something like that I try to slow down, I don't speed," Varejao said. "If I have a chance to have one of my friends driving with me when I have to go somewhere, it's always good because you don't know what could happen if someone hits my car. I would need someone to rush and drive me somewhere to try to stop the bleeding." Varejao says he recently was cleared to fly and hopes to go on the Cavaliers' next trip, a three-game run which starts in Orlando on Feb. 24. Even so, he plans on spending the upcoming All-Star weekend with his fiancée at a Pennsylvania resort. The couple plans on driving there. During the break, Varejao won't be lamenting the missed All-Star festivities he could've enjoyed with teammate Kyrie Irving, who made the East team. "He's a special player and he deserves everything that is going on in his life right now,” Varejao said. “I'm happy to be part of his career and play with him." 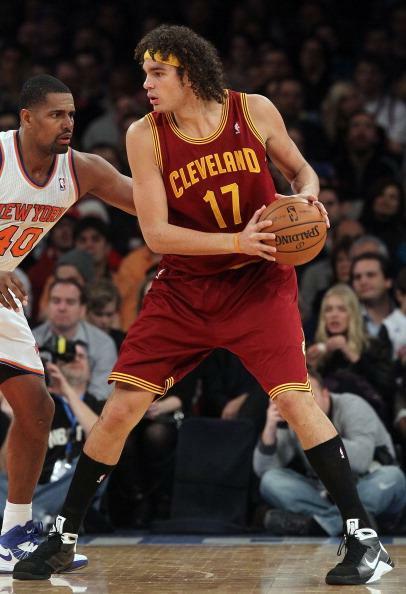 Varejao has one more year left on his contract after this season and a team option for the 2014-15 season. He hasn't heard his name mentioned in trade talks since his injury and says he wants to remain in Cleveland. "If they trade me, they trade me," he said. "I'm happy here. I don't want to be traded." The scary time has passed for Varejao, but he hopes his story can motivate those in medical need to not hesitate to get help. "If you have some pain in your back or around your liver, kidneys," Varejao said, "let your doctor know."